Discussion in 'BMX & Dirt Jumping' started by yuroshek, Mar 10, 2008.
does anyone ride flatland? if so post up some pics. haha thanks, you remember me from the shuttle at fontana right? the kid from jersey. hellz yea man! how'd you do this race? i was just there for the 3rd race. im gonna try and stay out there for a few months next year so i can train and ride every day and race the winter series. i haven't been riding as much flat as i used to. still down with it tho. 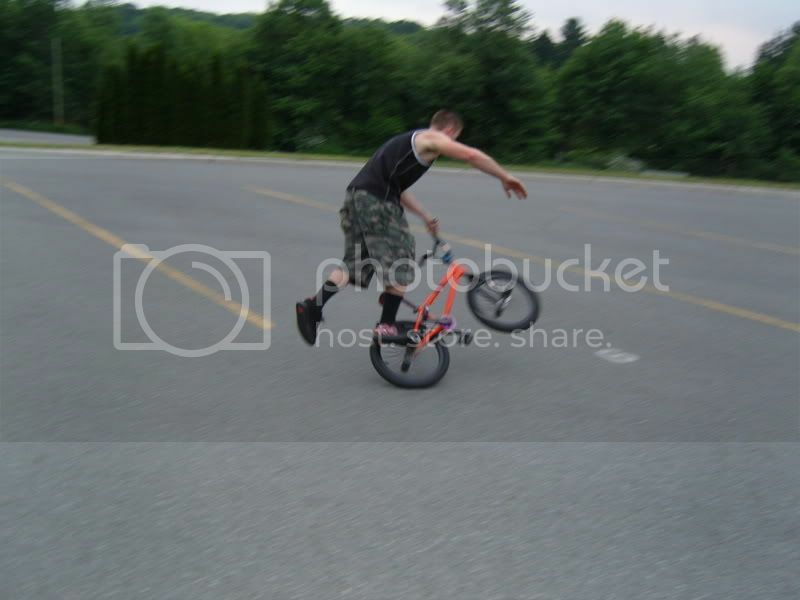 I'm a bmx'er from day one and doing flatland has always been a dream of mine. 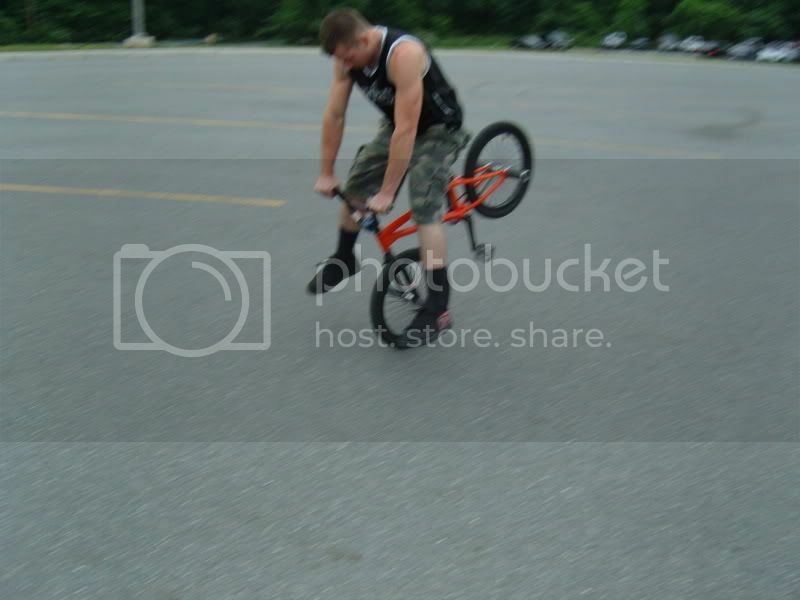 I think I may build up a flatland bike soon so I can give it a try. hmmm. brakes needed for flatland ? simple question, complicated answer. 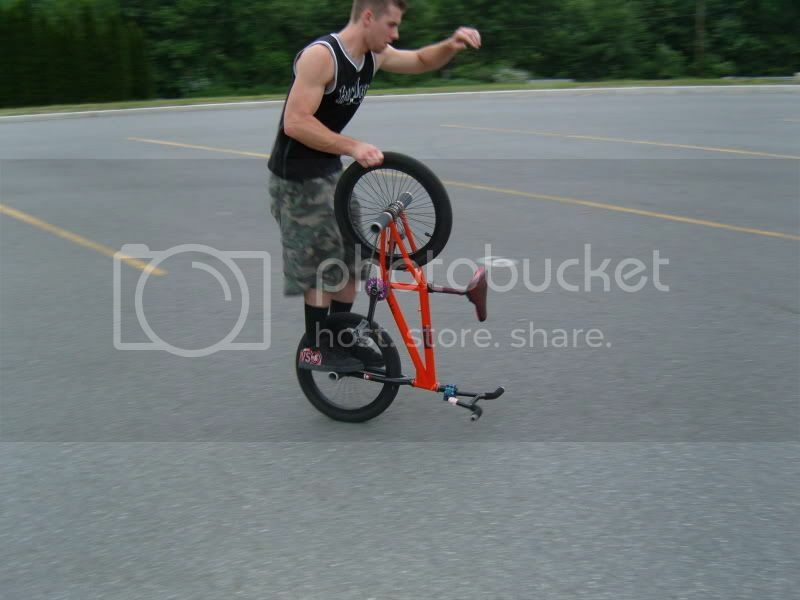 the current trend is brakeless bikes. but that trend started at the pro level and worked its way down. so some tricks that used to require brakes are being done by pros brakeless. super hard. (like brakeless multiple whiplashes, or brakeless nosewheelies). but then there are other tricks that never really required brakes in the first place, and beginners can work on those. like hang 5's, steamrollers, hitchkers, etc. there will be a ton of things you can work on, regardless of whether you run brakes or not. you also don't need a new school tiny flatland-exclusive bike to ride flatland. a short-ish street bike, like 20"tt or less, with 4 pegs, will do fine. ...haven't flatlanded this year. But I should be back into it as soon as I get a new bike. It's still a lot of fun to ride though.